The new Premier League season has begun and in Madrid the World Cup celebrations are barely over, yet according to research in WIREs Cognitive Science the world's best players may soon be facing a new challenge from football playing robots, which their creators claim will be able to play and beat a human team. The research reveals how building robots to play football is driving the development of artificial intelligence and robotic technology which can be used for roles including search and rescue and home help. The author, Claude Sammut, from the ARC Centre of Excellence for Autonomous Systems in Sydney, reviewed the technology demonstrated at the RoboCup international robot soccer competition which this year took place in Singapore. Competitions have become a popular way for motivating innovations in robotics and provide teams of scientists with a way of comparing and testing new methods of programming artificial intelligence (AI). "Football is a useful task for scientists developing robotic artificial intelligence because it requires the robot to perceive its environment, to use its sensors to build a model of that environment and then use that data to reason and take appropriate actions," said Sammut. "On a football pitch that environment is rapidly changing and unpredictable requiring a robot to swiftly perceive, reason, act and interact accordingly." As with human players football also demands communication and cooperation between robotic players and crucially requires the ability to learn, as teams adjust their tactics to better take on their opponents. Aside from football the competition also includes leagues for urban search and rescue and robotic home helpers which take place in areas simulating collapsed buildings and residential homes, revealing the multiple use of this technology. While a football pitch layout is structured and known in advance, a search and rescue environment is highly unstructured and so the competition's rescue arena presents developers with a new set of challenges. On the football pitch the robots are able to localize and orientate themselves by recognising landmarks such as the goal post, yet in a rescue situation such localization is extremely difficult, meaning that the robot has to simultaneously map its environment while reacting and interacting to the surroundings. 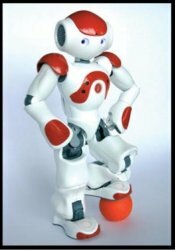 In the home help competitions the robot is programmed to recognise appliances and landmarks which will be common in most homes, but in addition to orientating themselves they must react and interact with humans. As the robotic technology continues to develop the rules of the competitions are altered and made harder to encourage innovation, it is the organisers' aim that this will drive the technology to a level where the football playing robots could challenge a human team. "In 1968 John McCarthy and Donald Michie made a bet with chess champion David Levy that within 10 years a computer program could beat him," concluded Sammut. "It took a bit longer but eventually such programs came into being. It is in that same spirit of a great challenge that RoboCup aims, by the year 2050, to develop a team of fully autonomous robots that can win against the human world soccer champion team." So while, for the moment, football players can focus on beating each other to lift silverware, tomorrow they may be facing a very different challenge.